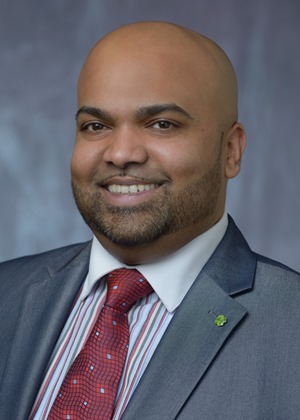 ROBBINSVILLE, New Jersey – Investors Bank has announced that Rennie Resalsingh has been promoted to Vice President and Senior Retail Market Manager for its newly named Lower Burlington Market. Resalsingh will lead the bank’s Medford, Voorhees, Sewell, Glassboro, Williamstown, and Pitman, New Jersey branches. He will be located in Sewell. Resalsingh joined Investors in October 2010, and worked at the Supreme and East Orange, New Jersey branches before being tapped to aid in the bank’s strategic expansion in southern New Jersey. Under his leadership as branch manager, the Pitman office experienced significant growth. Resalsingh works hard at giving back to the community and has an especially strong commitment to non-profit organizations whose missions align with the bank’s core values and his own belief in serving the community’s needs. Resalsingh is involved with more than a dozen local organizations in the southern New Jersey area that are working to enhance the lives of local residents. In a career in financial services that has spanned more than 15 years, Resalsingh has advanced through every position in retail branch banking, starting out as a part-time teller. He is an established leader in business development, relationship management, talent acquisition, and community commitment. Resalsingh resides in Washington Township in Gloucester County, New Jersey with his wife and their two children.